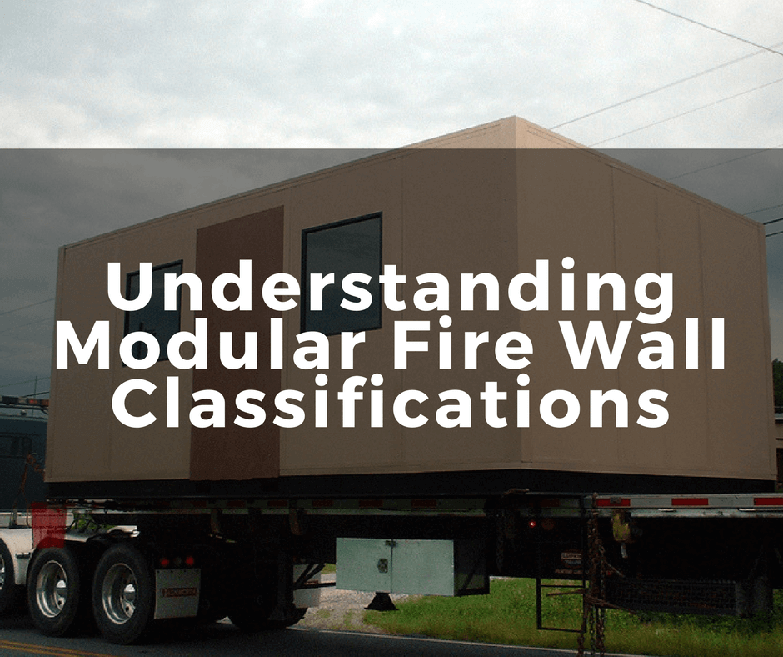 One of the most important features of a modular building, or any building for that matter, is the fire rating. There are many different levels of fire rating, and in some cases, the differences can be subtle. Understanding the difference between Class A, Class C, and 1-hour fire rated panels will ensure you select the right building for the right application; and can mean a lot fewer insurance headaches down the road. The first thing to realize is the difference in testing methods. For Class A and C, the panel is tested with an open flame, and measurements are taken on fuel contribution, smoke developed, and flame spread. As a reference, think of a concrete block as being zero for all three categories, and a piece of dried balsa wood as a 100. For a Class A panel, the measure of these three components must be under 25. This is classified as non-combustible, even though it will catch on fire if exposed long enough. A Class C panel, on the other hand, scores above 75 on the three tests and is considered combustible. For the most part, Class C panels are constructed of vinyl covered hardboard with a polystyrene core. Class A panels, in contrast, are composed of the same polystyrene core, but with vinyl covered gypsum board. 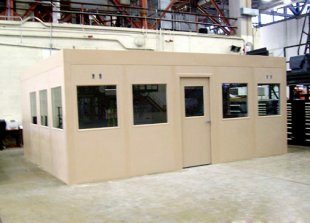 Class A panels can have vinyl, steel, or a number of other kinds of coverings. No matter what covering the panels have, a Class A panel will always catch on fire before a 1-hour rated panel will. 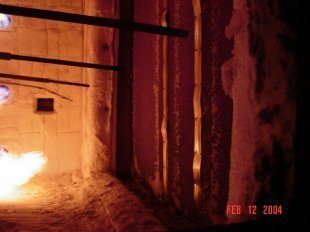 For the 1-hour fire rating test, a panel wall is constructed and is essentially blasted with flames for an hour. After this, the wall is sprayed with water from a fire hose. If the wall withstands the hosing, it passes. The idea behind this test is that people on the other side of the wall will be safe from the fire for up to an hour, even as the fire is being retarded. 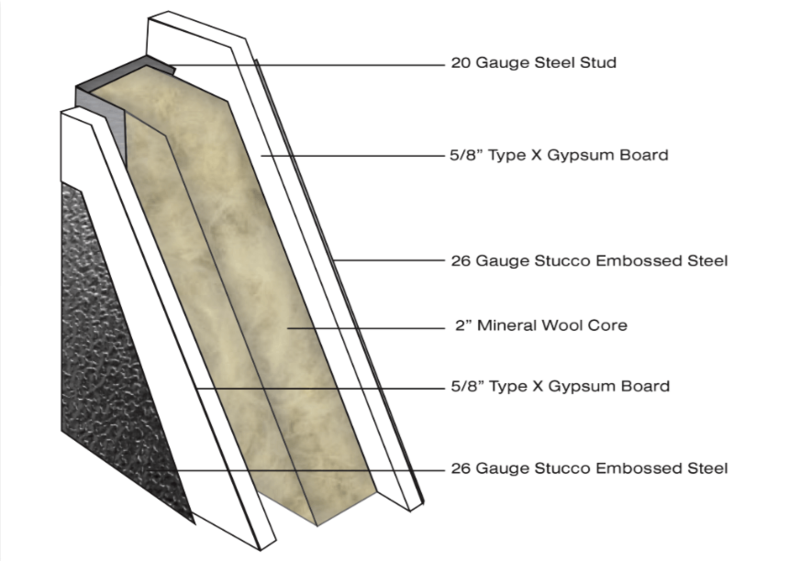 A 1-hour fire rated panel is constructed of a mineral wool core, covered by gypsum board; with 26 gauge steel studs every 12”. In a 1-hour rated panel, the steel studs must be screwed to the gypsum board every 12” vertically, and every 6” around the perimeters. This added rigidity allows the panel to withstand the rigorous 1-hour fire test. Because of this, the panels must be covered with steel sheeting to hide the screw heads. All of these requirements result in a very heavy, but extremely fire resistant panel that many situations must have due to insurance regulations. There are instances where the insurance company requires more than a Class A, but not necessarily 1-hour fire rated. For these situations, Panel Built has developed a hybrid panel. The hybrid panel is non-combustible, with a gypsum covered mineral wool core. Like the 1-hour panels, this requires steel studs to provide rigidity. Unlike the 1-hour panel though, a hybrid panel does not need screws (up to 9’ tall); instead, it can be laminated together with adhesive, leaving the surface of the gypsum smooth (and consequently does not require a skin).